Hey, Vancouver! 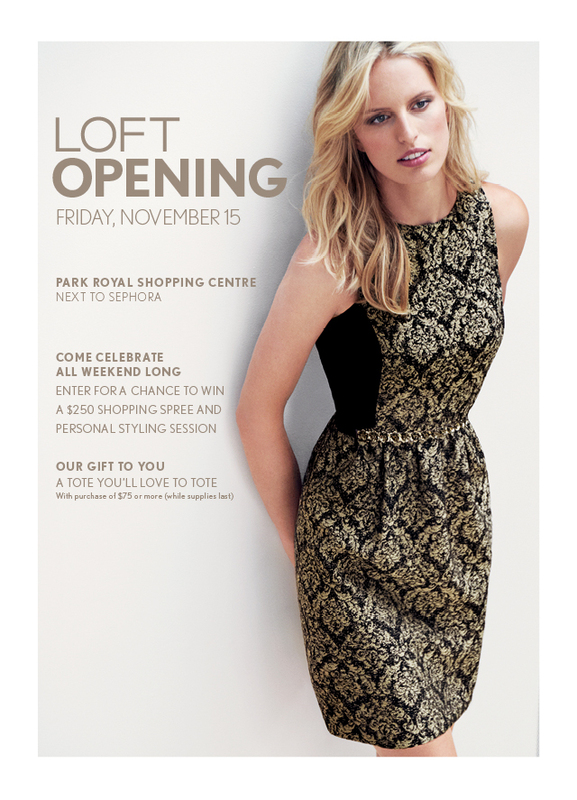 I’m excited to let you know that LOFT is opening at Park Royal in West Vancouver (as part of the mall’s new expansion) this Friday the 15th! Since I’ve been all about the neutrals lately, I’ve been getting particularly excited to shop their winter accessories: with everything from pom pom beanies to sparkly earrings, haircalf belts to walk-all-day booties, I’m quite sure I’ll be bringing quite a few things home with me this Friday. LOFT is also throwing a big grand opening party on Nov. 30th and I hope to meet you there – sign up here to receive an invite.